Sugarcane leaves bulk density is very low (150-170 kg/m3). Thus the capacity of the machine becomes low too (about 60-80 kg/hr only). But the pellet produced is good. 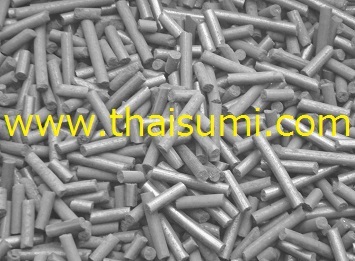 Briquette size 1.5″ and 1.0″ . Smaller diameter is better with pellet making machine. For biomass, coal and charcoal. Machine needed to be adjusted and modify for each type of raw material. Some common materials can be used without changing the machine setting but if the machine is much different, then fine-tuning/adjustment is required. My wife and I are looking for a small briquette machine for our farm here in United States. We are looking to press grass clippings, leaves and wood chips into logs or blocks for burning in a wood stove. Of course being that we are on the farm we have PTO driven tractors so the machine could be powered by PTO or an electric motor single phase. It is very difficult to make the listed materials (grass clippings, leaves and wood chips) into briquette (log, block) using small single machine. 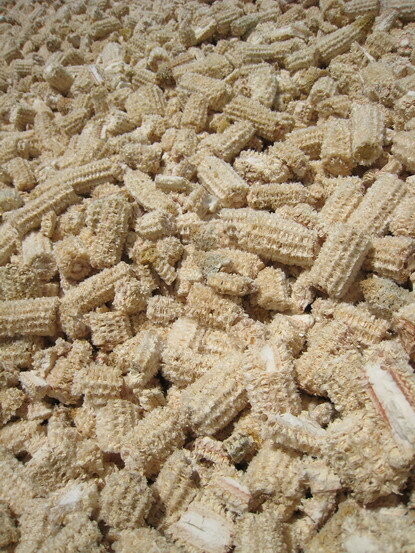 Typically it is recommended to make pellet instead (but depends on your stove type if it can be used). The video of similar machine is as per link below. For your information, smallest briquette that we manufacture is 10 HP and smallest pellet machine is 7.5 HP. Both can be either electric motor or engine drive. There is no simple universal machine especially for home use, especially with small motor/engine. 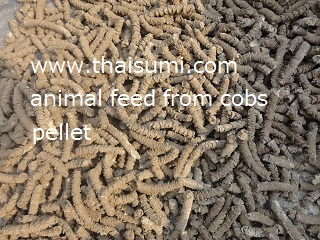 Pellet making test for animal feed (5 mm. diameter). The test machine is 5 HP motor with gear unit. It requires water adding to adjust moisture of mixture (About 15% MC). The pellet density is low for animal to chew. Fine dust is about 10% but can be reduced if bigger size machine. Also, typically the animal feed production requires separation unit to remove stone or foreign material before making into pellet. Pneumatic system is the most common unit for this purpose. The pellet making of fine carbon (powder form) from scrap tyre pyrolysis plant (oil production) is slightly more difficult than production of pellet from coal or charcoal. The oil content in the carbon powder is one of the factors. Normally oil content in the carbon powder should not be higher than 2-3%, otherwise binder will be required. In case that binder is required, the mixing of fine carbon powder and binder dispersion are the key to the success of pellet production. Common problems with the pellet making from carbon powder from pyrolysis of tire are dispersion, high oil content and feeding of powder into pelletizer (difficult to feed). The design of machine must take these factors into account. Concerning the briquette making of fine carbon powder by screw press type machine, it is more difficult and has more factors to the success of the briquetting process. The main trouble is the heat generated by screw-press type machine will cause the change of powder’s characteristics (soften). Typically, the briquette made from screw-press type machine is not very high in density so it can be used as fuel for starting up the operation of the pyrolysis process (not very good if you want to sell them as briquette). Following is a normal carbon pellet making. Screener is required to remove remaining fine powder. Question regarding pelletizer for making pellet from different types of materials. Question regarding pelletizer for making waste material pellet. Do you have any idea about construction parts for machine, that could be replaced with each type of powder? [Comment]: Normally we need to test the material before we can design the machine. That is why we need sample from you. Actually we can do many things with the design of the pelletizer to match with customer’s material. The design includes: revolution of the machine, thickness of dieplate, design of the passage hole, etc. Normally we will need to fix the revolution of the machine first (rpm) and then decide the thickness of dieplate. The revolution is difficult to change because it relates to the design of gears in the gear-box (we manufacture by ourselves). In fact, you may be able to adjust the revolution but in limited range by using Inverter unit (electrical voltage-current) and thickness of dieplate. So, without all the sample we would not be able to say exactly if you can use only 1 machine or different machines to cover your all materials. However, if the physical of the materials do not vary a lot, then 1 machine may work for all but you may need more than 1 dieplate with different thickness (but 1 thickness may also cover different materials). Pellet making for animal feed and related machines. Regarding pellet machine to make pellet for animal feeds, we have experiences on this pelletizing unit. We can manufacture both the stainless steel machine and plain steel upon customer’s request. 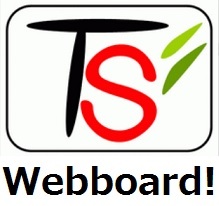 – What is the main ingredients you are going to use? (please let us know in details). – How do you store those materials? – What is your expected capacity of the pelletizing unit? – Do you need the machine to be Stainless steel or just plain steel (iron)? 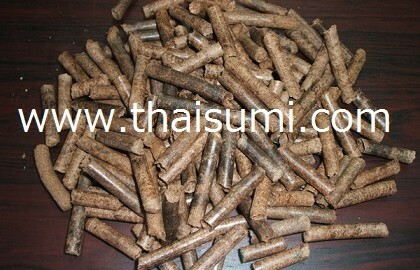 – What is the size of pellet you need (normally for us : diameter about 7-8 mm.)? – What is the length of pellet you need? (1-2, 3-4 cm., etc)? Please specify in range. – What is the required density of the pellet? – What are other requirements (if any)? These factors have great effect to the machine design. Some animal like cattles, cow need bigger size pellet (6-8 mm. or bigger diameter), while smaller animals (ie. bird, fish) would need much smaller diameter (1-3 mm.). All above information is required to design the machine. Please provide us above information and we will get back to you with further details. Sample video file is as below. 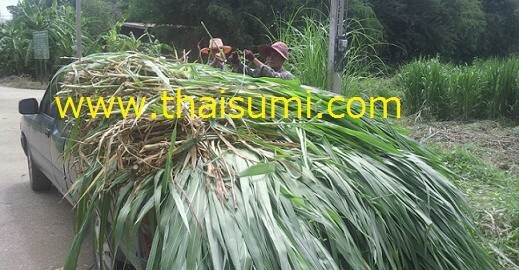 Napier Grass as raw material for gasification process to generate electricity. 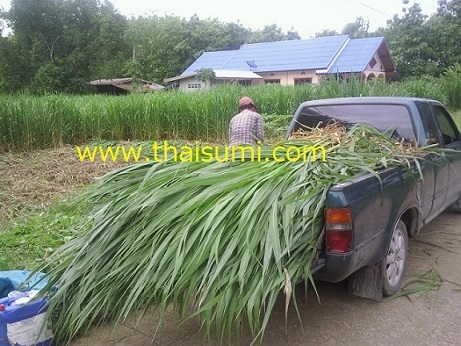 Napier grass is becoming a popular biomass for gasification process to generate electricity in Thailand. Government office also issued the project that subsidizes napier grass as raw material for power plants. The critical factors for Napier grass for power plants projects are harvesting of the grass, moisture content in the grass, transportation to the preparation factory, and making the dried grass into pellet form or else to be able to use in the reactor of gasification process. 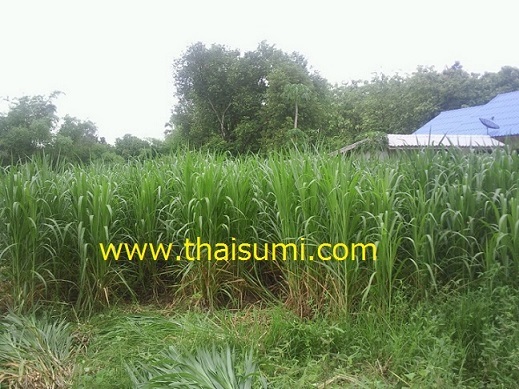 Biomass material: Sugar cane stalks or Napier Grass stalks or similar can be mixed and used in most gasifier. Also woody biomass like wood chips or coconut shells can also be used but they might require a chipping or good cutting technology. Throughput: minimum 5.0 tph fresh biomass per unit for 1 MWatt power plant size. Auxilliaries: (i) dust collection system. (ii) dust storage system. Fuel: Biomass (grass itself, wood chips, waste wood), LPG, also Drying heat source: ambient air diluted hot gen set exhaust. Direct gen set exhaust will be between 430 and 470 Deg C and we will dilute down temperature with air to required dryer operating temperature. Auxilliaries: (i) feed system (ii) discharge system. This is just sample idea about the raw material preparation and gasifier related machines. Last year (2012), Thai government announced about Napier Grass for generating electric power as follows. “The government will issue guidelines within the next two months on a policy to promote generation of electricity from Napier grass, Energy Minister Pongsak Ruktapongpisal said yesterday. Napier grass, originally from Africa, is also known as Uganda grass or elephant grass for being a favourite food of elephants. Speaking on the sidelines of the “Green Energy Forum: A Balancing Act for Sustainability” held by Krungthep Turakij, Pongsak said Germany had developed 7,000 power stations fuelled by Napier grass that provided 7,000 megawatts, and Thailand could match that production. The ministry will provide a “feed-in tariff” subsidy of Bt4.50 per kilowatt-hour (unit) for a period of 25 years to power plants that use as feedstock Napier grass supplied by local communities. 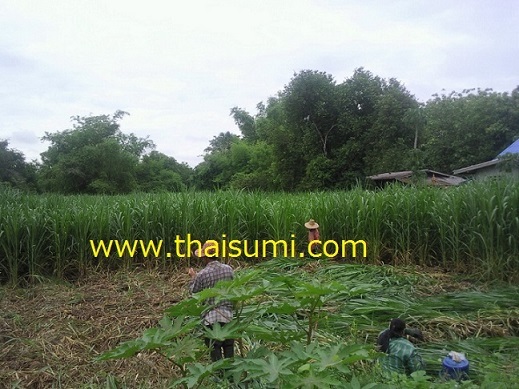 This grass can be grown in many parts of Thailand, especially in areas currently used as sugar-cane and tapioca plantations in the Northeast and Central regions, provided they are situated not too far from the power grid, he said. Pongsak said alternative energy currently contributed merely 1 per cent of Thailand’s electricity production, and Napier grass would contribute a significant chunk of the target to increase the contribution of alternative energy to 25 per cent within 10 years. “Concerning energy security, we are currently depending on natural gas for as much as 67 per cent [of power-generation needs]. Seven new records of peak power loads occurred during the past year, which prompted a call to save energy. While our installed capacity is 32,000MW, the power demand peaked in May at 26,774MW, leaving a power reserve gap of only 16 per cent,” he said. Pongsak said that if electricity-use growth rates remained at the current level, there could be power-supply issues in the next two years. Investors have often asked him about the government’s plan to boost electricity capacity. He said the government would negotiate with Myanmar to pursue the 7,000MW Salawin hydropower project as well as putting more emphasis on biomass and biogas, including electricity production from Napier grass. Considering the Bt6.50-per-unit subsidy for solar farms, promoting more solar plants will place an heavy burden on the public in terms of higher electricity costs, the minister said. The question is if this project is really economical or not. Many people have heard about some of the Napier grass to feed (“Elephant grass”). Can it be used as a fuel briquette (Briquette) or pellet (pellet)? What are the pros and cons of napier grass? Napier grass really worth the fuel used to produce energy or not ? Depends on several factors. Particular grass species (Pakchong 1, Emperor, etc. ), which can grow well in the terrain and climate , which is used as fuel. It should be planted so the moisture at the harvest is minimal, enough texture of grass ( 3-4 months , humidity is about 65-70 % by weight). Harvesting (labor, machine) and Transportation to the factory is also a factor to consider too . The key factors for using Napier grass to make into briquette or pellet form are the preparation of fresh grass into the form ready to be briquetted or pelletized because this process requires a lot of energy. By pressing the water out as the crushing roller, cut the grass into smaller sizes to increase the heat transfer area, the grass still needs drying whice requires a lot of energy, especially to dry grass to reduce moisture from 65-70 % to 15-20 %. First, the grass is being pressed by rollers, which can reduce the initial moisture content down to approximately 35-45 %. Using conventional type rotary drum drier, the required amount of fuel is very high because of low efficiency (in most cases, inevitable to use biomass fuel, i.e. napier grass itself). More efficient process is to use superheated steam, which can dry the grass quickly and the grass does not have chance to catch a fire compared with the conventional hot air type. Coal Pellet machine (30 HP, TWP-03FCP Type) can pelletize about 500-600 kg/hr, depending on the size and moisture content of coal. 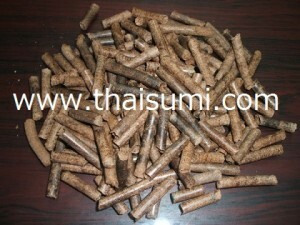 The pellet diameter can be adjusted from 6 mm. to 15 mm. (need TWP-04 or higher model). Length can be adjusted by length adjusted unit, installed at the machine. 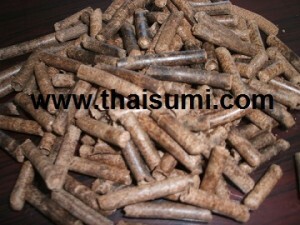 Coal pellet can be sold at higher price than undersize coal or fine coal. Higher moisture content in the pellet is acceptable in most cases (water may be needed for moisture content adjustment for pelletization process). The sample is very dry. Using small machine could not press successfully. It requires water or binder to help improve pellet forming and strength. If using higher power motor, this would help improve the forming and process-ability. Question regarding Machinery to produce charcoal briquette from coffee husks, rice husks , coconut husks, macadamia husks saw dust and maize cobs. I am interested in Machinery to produce charcoal briquett. I intend to start the project in my country. Please do email me a price quote for the whole system including the information (manual) on how to make them. I am specifically interested in making charcoal from coffee husks, rice husks , coconut husks, macadamia husks saw dust and maize cobs. 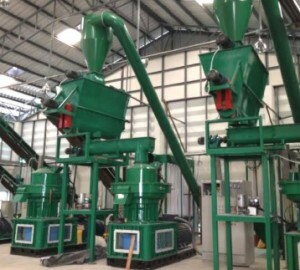 I don’t know whether your machines can support making charcoal from sugar cane wastes? please let me know. Thanking you and looking forward to your response. [ANSWER]:? From the listed raw materials (coffee husks, rice husks , coconut husks, macadamia husks saw dust, maize cobs, and sugar cane waste), in order to make them into charcoal briquette, we would like to classify them into 2 groups which require different process; Hot process and Cold process. The hot process is more complicated, requires high skilled personals, require 5-6 times higher investment than that of cold process. The cold process is suitable for above mentioned materials (Maize cobs, Coconut husks (coconut shell? 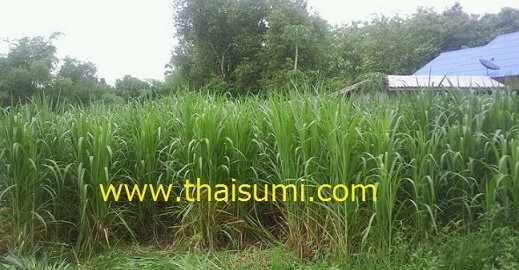 ), Sugar cane waste). However, the best quality of charcoal briquette you can get among those three materials is coconut shell, maize cob and sugar case waste respectively. 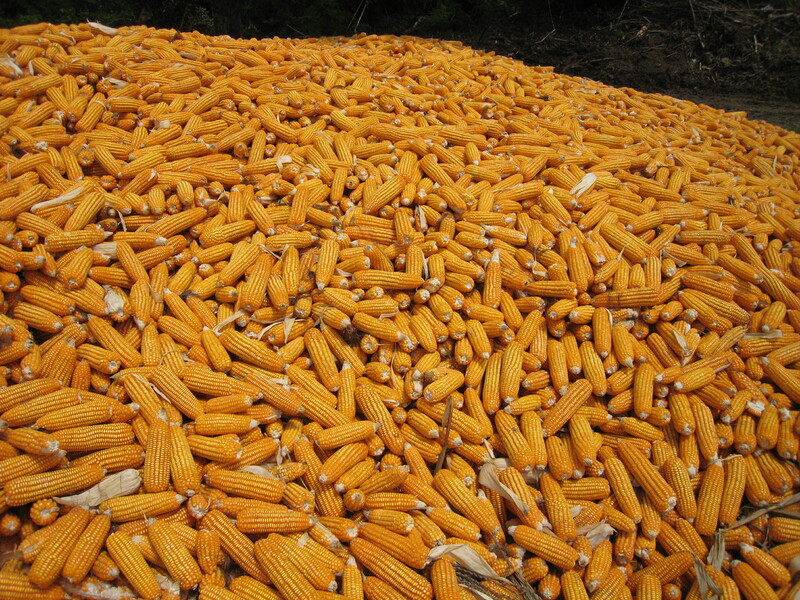 We would recommend you to start with only maize cobs and coconut shell first because their quality are good. About machines of cold process, we can supply to you the machine and guarantee that you will be able to produce good quality (high density) briquette. We will not only provide you the machine but we will also provide to you all related information, document and know-how. You will receive full operating manual, document and necessary know-how with the machine. Please kindly find our machine’s brochure as attachment. The complete unit as quoted comprises 1 crusher, 1 mixer-dispenser (can be used for 2 extruders), and 2 extruders. 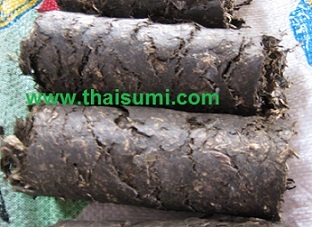 The production capacity is about 300-400 kg/hour of wood charcoal or any other biomass charcoal. You can add 1 more extruder to the quotation to double the capacity because the mixer and crusher is already designed for 2 extruders. Automatic cutting units are optional. We already give the manual cutting units with the extruders but if you need automatic cuttings, you can purchase as optional unit. We can also offer the conveyor and other additional unit as per your request too. Please give us comment about the above suggestion. Then we will get back to you again with further information asap.